A school paradise must be something very much like the educational project in progress since 2008 at Green School in Bali. The school was designed according to criteria of ecology and sustainability: use of recyclable materials for the interior, solar panels as a source of energy and an organic vegetable garden which is looked after by the students and which feeds 400 people every day. 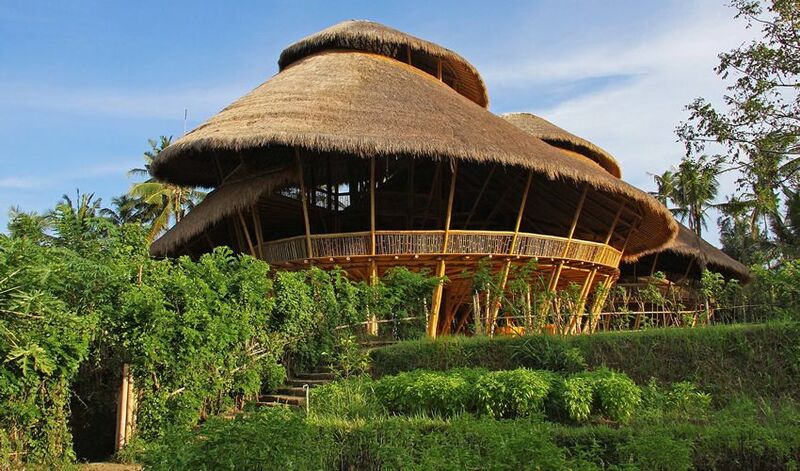 These are just some examples of the ecodesign to be found wrapped in a bamboo structure. Seven kilometres of bamboo were needed to build this ecoschool. From its dimensions you can understand that this is the world’s largest bamboo building. John Hardy and Cynthia, the founders of this green school, want to show the world that an education in values such as multiculturalism and respect for the environment is a wonderful tool for forming future citizens who will interact more respectfully with their surroundings. There’s no doubt that a sustainable school like this is the perfect place in which to hand on these values to students and put them into practice on a daily basis. We wanted to show you this example in the hope that it might give you ideas for things to do during the coming school year. There are plenty of possibilities for working on sustainability in schools, where students can learn from their own experience and ‘learn by doing’. What do you say to setting up a ‘green school’ all together?